Lady and the Blog → Living → Product Reviews → For Kids → Father’s Day Gift Idea: MLB Moby Wrap! 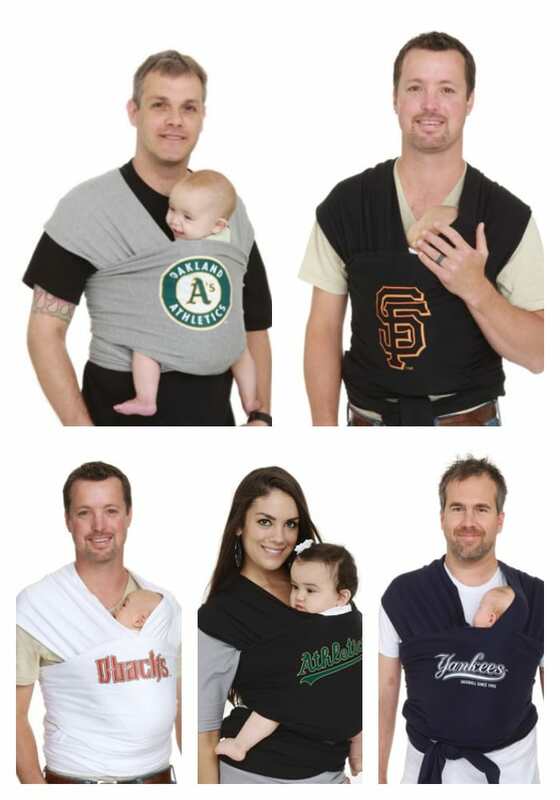 Father’s Day Gift Idea: MLB Moby Wrap! Honestly, I LOVE this idea! We have become wrap / sling obsessed in this household because my son is very fussy and needs to be upright to be happy. I’ve caved and decided that I am a sling person now… it is what it is. I wasn’t with the first two kids but life dealt me a different kid for baby number three. Bill needs to jump on this ship too because he needs his arms as much as I do. Well, check out these Major League Baseball Mobys! How AMAZING! Moby, the leader in baby carriers, has a MLB branded/authorized version of their wrap which is perfect for dad. Not only can dad help mom with transitions, and baby carrying which has loads of health benefits; he can do so while supporting his favorite baseball team.